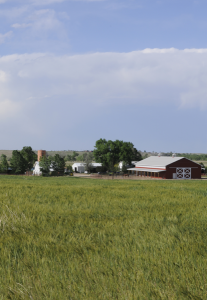 American Grassfed Association, in collaboration with Savory Institute, will hold a ranch day on June 23, 2014 at Flying B Bar Ranch near Denver. The day will begin with check-in, networking, and coffee at 8am, followed by a pasture walk with grazing and grassfed experts and a talk by Allan Savory. Lunch in the barn will follow and events will wrap up early afternoon. Allan Savory was born in Rhodesia (now Zambia and Zimbabwe) and worked as a research biologist, game ranger, rancher, and consultant. In the 1960s he made a breakthrough discovery about the origins of desertification in the world’s grasslands. He went on to develop holistic management as a means of restoring grasslands with the managed grazing of livestock. Savory has been honored for his work with the Banksia International Award and the Buckminster Fuller Award. His 2013 TED Talk has been viewed almost two-and-a-half million times. Tickets are available now and are limited. Don’t wait to register — this one will sell out!